I have made a different Christmas related graphic on each of the stickers so each sticker is cute and unique in it’s own way. 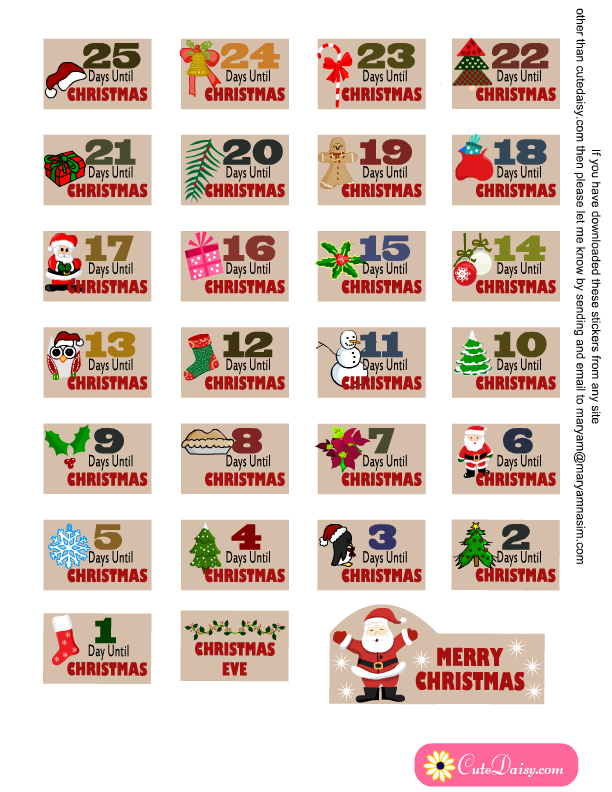 You can start your countdown until Christmas from 25 days to Christmas or any time less than that. If you want to start the countdown 7 days before Christmas then just paste the stickers that show that there are 6 days until Christmas. 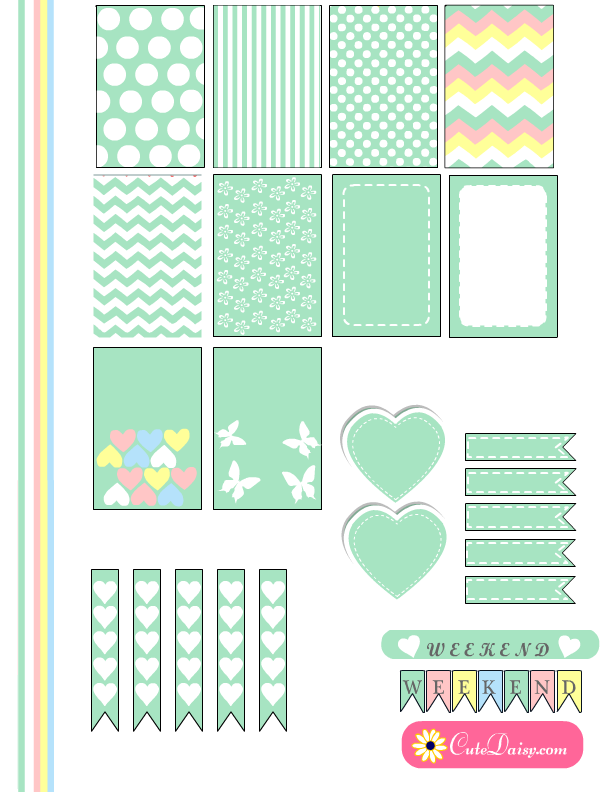 If you are planning to use these stickers in your Happy Planner or Erin Condren Life Planner (ECLP) then you might also like these 28 free printable washi tapes that I have made already. I have also made many free printable labels, tags, candy wrappers and writing papers and even if these are not enough then you can visit my website that is filled with printable christmas freebies. 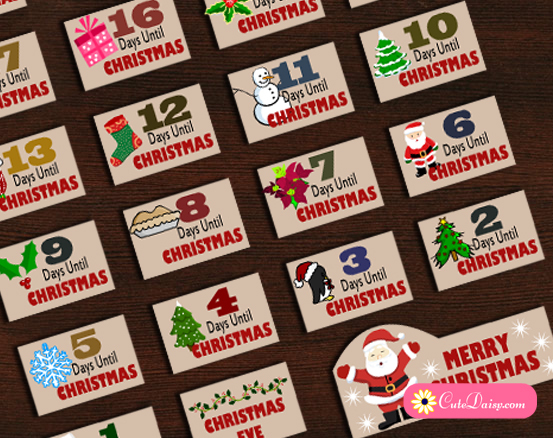 I have made these stickers with beautiful and cute Christmas related graphics. Size of each sticker is 1″x1.5″ except the big “Merry Christmas” Sticker. 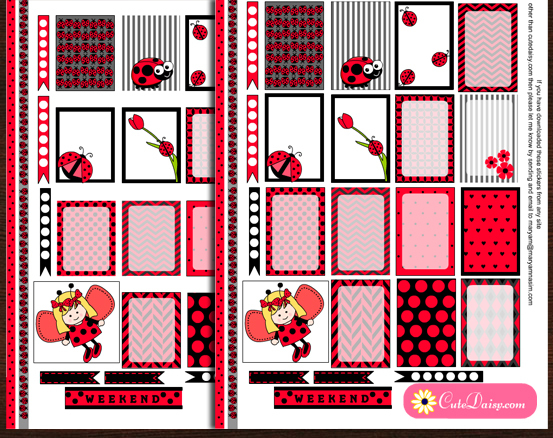 These sticker will perfectly fit in width to the boxes of Happy Planner and Erin Condren Planner. You can scale these to smaller size if you want smaller stickers or want to use these in some other planner. If you like these stickers then share the link to this post in Facebook groups, on pinterest and twitter etc. Click here to download the PDF file for these lovely stickers. 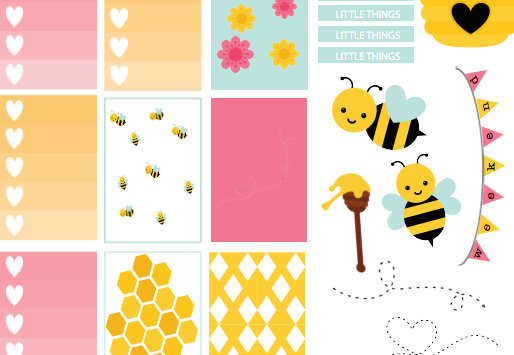 My full page label sticker paper comes today so I can do your printables up right! I use the full page labels and it works perfect! Thank you, for these!! Let the season begin! Can’t wait to see your planner kit!!! Lovely idea. Thank you for sharing them..Love the different colors. Thank you so much!!! These are amazing! So cute! I appreciate you 🙂 thank you!! Beautiful stuff. Thanks so much. Thank you for sharing your printables. They will all come in very helpful. Hubby and I are both on SS Disability from being injured in Public Service jobs so we don’t have much extra money for me to purchase stickers and the like for my planner.